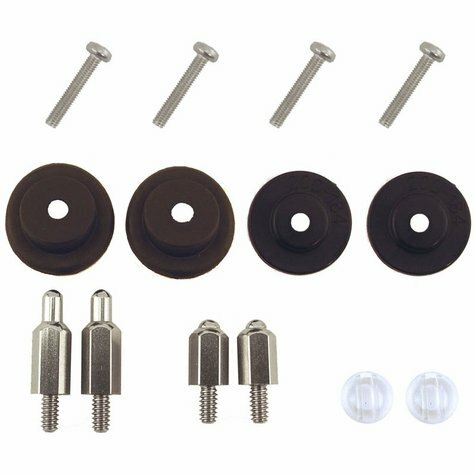 PetSafe RFA-529 Accessory Pack. $9.95. "Very good product, customer service and price." "2nd time I've purchased from this company. Both were great experiences." 2nd time I've purchased from this company. Both were great experiences. I really appreciate that they stay in touch throughout the purchase and shipping process. There's nothing more worrisome than sending money to an Internet vendor and never even getting a confirmation of the order. These guys are straight up. Simply put - They do what they say. "Great communication every step of the way"
Great communication every step of the way, from ordering to my doorstep! "I would recommend this site to anyone!" Great place to order from. No hassle at all. I would recommend this site to anyone! Hard to find these in your local store. My dogs play rough, and one prong fell off her collar, so I needed the replacement immediately! Gun Dog Supply came through! I got it the next day! Perfect! Great service! "5 star all the way." Product arrived in a timely manner, was what I wanted, and filled my need. 5 star all the way. Doberman mix/ Pit-Bull mix. Family pet. We have a Sport Dog in-ground fence and these work great on their collars. The only problem I have is that one dog regularly loses his contact points, they keep coming unscrewed. This has always been a problem for him, so I don't think its the product, it' must be something he is doing. On the other dogs, I've had no problems at all! I love this. It saved me quite a bit of money over replacing the entire collar. My dog however is not at all happy with it because she can't terrorize the squirrels in the neighbor's yard. I was so glad to find this product available from Gun Dog Supply. My dog somehow managed to lose one post from her Sport Dog collar. The collar is still in good shape, so I was happy to be able to replace the missing post and washer. The replacement post was a perfect match to the one that was lost. Gun Dog Supply delivered the product quickly, and it arrived in perfect shape. Works great and the guys at Gun Dog Supply were very quick in getting my order great. Fits many PetSafe collars and SportDog SDF containment collars. Includes long 3/4" and standard 1/2" probes, 2 angled grommets, 2 flat grommets, 4 screws, and 2 button caps. Fits many PetSafe collars including those listed below. Also fits SportDog SDF-100, SDF-100a, NoBark 18, SD-105 and SD-105s. Does not fit PetSafe Stay and Play collars. Replaces the RFA-135 and RFA-281 accessory packs.